As I run through my daily emails in the morning, I could not help but notice a featured email from Liquor.com about the Daily Mail featuring the most expensive cocktail in the world, the Gigi, most recently being curated for Grace Jones during the opening of Gigi’s in London. How much? Firstly, if you dare to ask that question the staff claims you will be unable to afford the Gigi. It costs about 9,000 British pounds or about 14,000 US dollars. What is it made of to be even worth that much money? 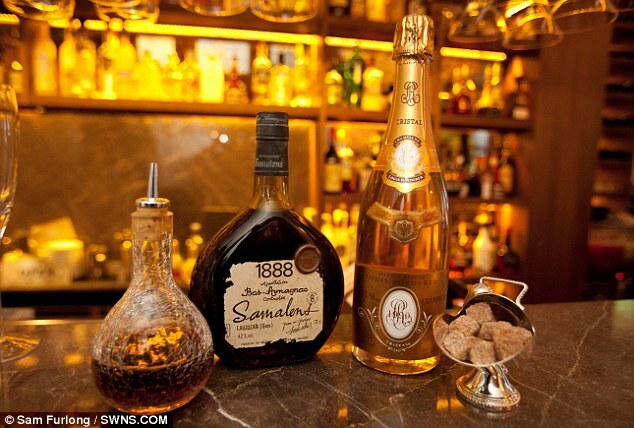 The Gigi includes 1990 vintage Cristal and an 1888 Armagnac. I think those two ingredients apart from the edible gold leaf speak for themselves. Angostura Bitters and sugar are labeled as the only two ingredients used from “off the shelf”. The Gigi is not on the menu and not sure if it needs to be. You do need to pre-order it which makes complete sense. Worth it? Depends on you and only you. However, it does sound like a lot of fun to try.